Tell us more about the Nova you plan to put the LT1 in. 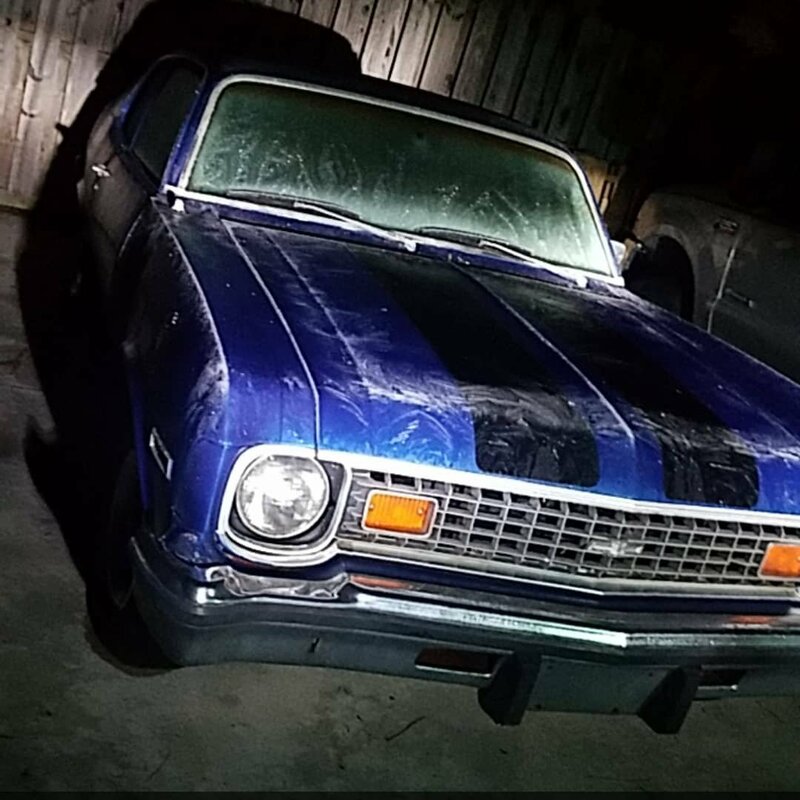 1973 nova custom, bought as a roller. Everything there appears to be mostly original aside from paint. Though I bought the car nearly 4 years ago, I haven't been around it much due to the military. Finally moving into to my own place over the next week and it's going in the garage this weekend. Welcome from Wisconsin! Pics? Thank you for your service. Check out this thread, post in it, and join our 3rd gen social group. Welcome. Glad to have you with us. Looks like a nice project with a good start. Good luck with your build. Well shes rolled back into the corner in preparation for me leaving monday. Throttle and kick down cable on order from lokar as well as their cable bracket and column shifter linkage. Well shes finally in the garage again. Didnt really get much done other than that. Finally got what's left of the old exhaust out so it's not scraping up the driveway, and got the a/c compressor delete pulley on after some modifications (stupid chinesium) but that's really it for today. Hopefully I can start chipping away at my parts pile now. Hoping to have it running by may. LT1’s have funny engine mounting perches.. What did you do to set your engine in the in the Nova? Did you fab your own mounts or buy something..? I have recently acquired a couple of LT1’s from F bodies. All I had to do was remove the a/c compressor to allow for the passenger side mount to move forward on the block. I'm not sure if all models have that existing hole already in the block but I know there are companies that sell a plate in order to move the mount forward. Other than that, just used standard gen1 mounts and it's like it was meant to be. Well it drove out of the garage under it's own power this weekend. Need to finish the exhaust and get some good tires. Also fix the brake lock up issue.